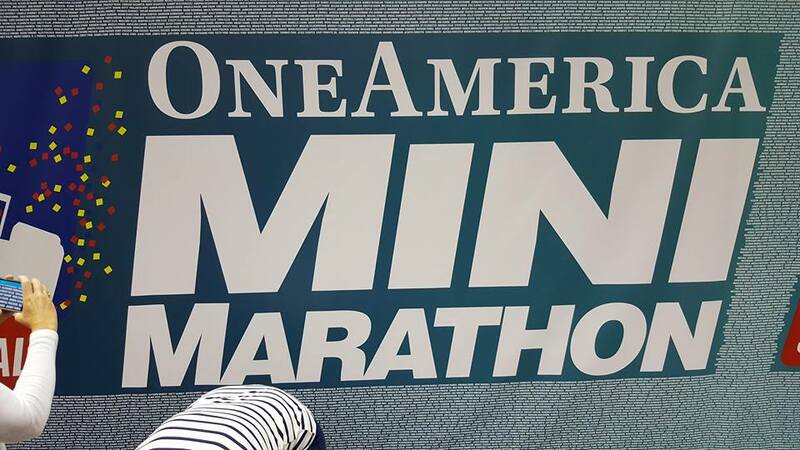 Training Update on One America 500 Festival Mini Marathon!! a.k.a. lessons for those who are new to the Indy Mini! 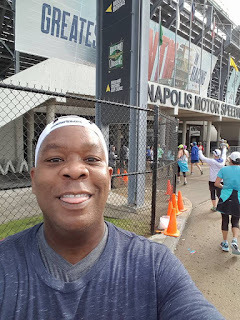 Disclaimer: I received free entry to the One America 500 Festival Mini Marathon as part of being a BibRave Pro. Learn more about becoming a BibRave Pro (ambassador), and check out BibRave.com to review find and write race reviews! 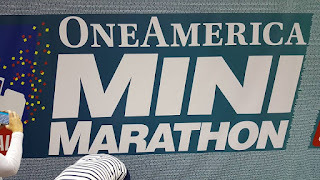 Due to a stomach bug, my training is taking a small halt, but that has given me some quiet time to REALLY think about training for the One America 500 Festival Mini Marathon and how excited I am to run this race for my second consecutive time! I know I have been really pushing to get people to run this race, mainly because of the way this races treats runners (NOTHING but love! ), but if you're going to run this great race and it is your first time, I want to offer 3 simple things to consider during your training as you're getting ready for it. I) Don't Overtrain: This one is easy to read about, but hard to stop, because when you're running, you don't think those extra miles will matter or hurt you. 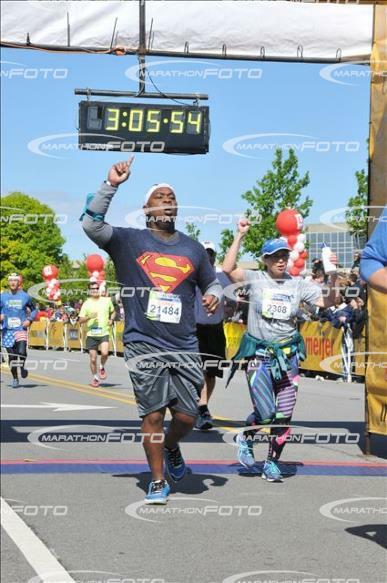 But I can't tell you the number of times I've lined up on race day with tired legs, and mentally in the, "I just want to get this done" mentality. Yup, it made for a miserable time and usually an injury. Enjoy your training. 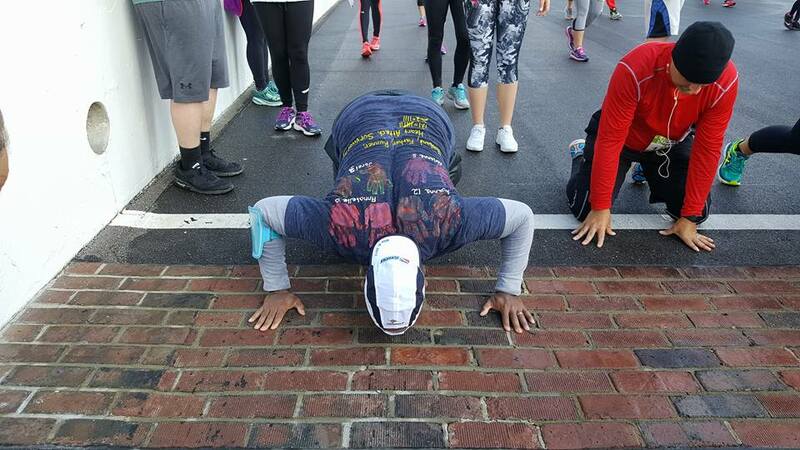 View your race day as a victory lap. In the case of the Indy Mini, a 13.1 Mile Victory Lap. You've done the work, now enjoy the cheers from the crowd and wonderful volunteers! 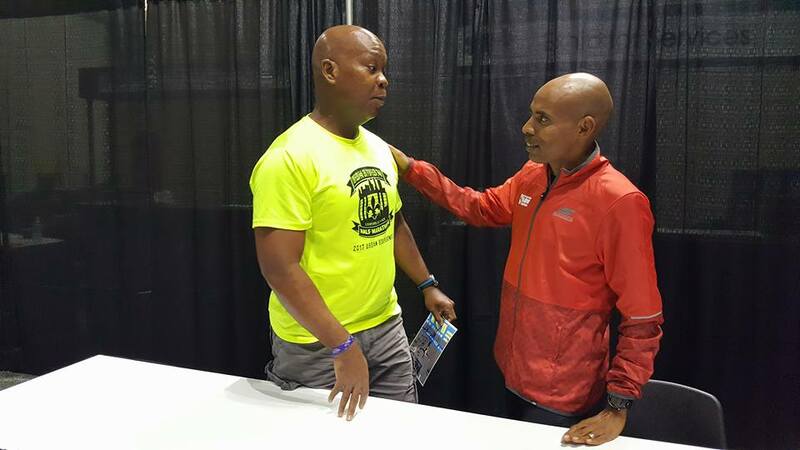 II) Allow Time At the Race Expo: Indy Mini goes ABOVE AND BEYOND in their Race Expo and it is not the typical, walk in, get your swag and make your way out. As soon as you walk in, you are greeted by the Indy Mini wall banner that is about 30 feet long. 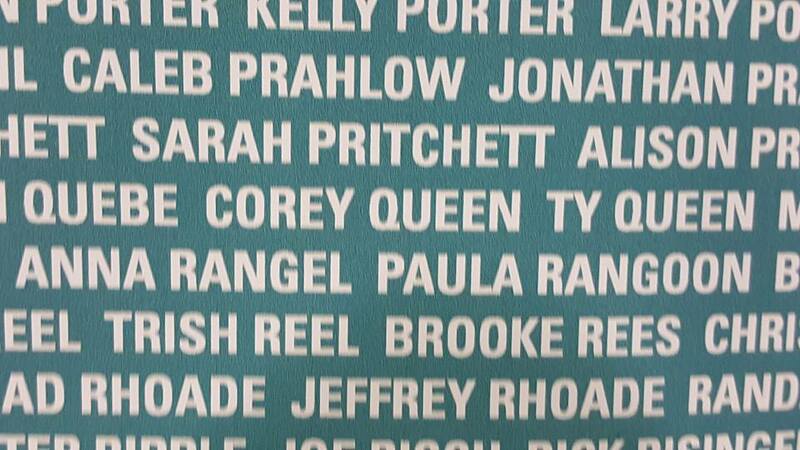 LOOK CLOSELY, you will find the background is all of the Runners' names in alphabetical order. Find yours and take pics! This is when the feeling of, "I'm Ready" starts to wash over you. Then they have meet and greet autograph sessions that are free. 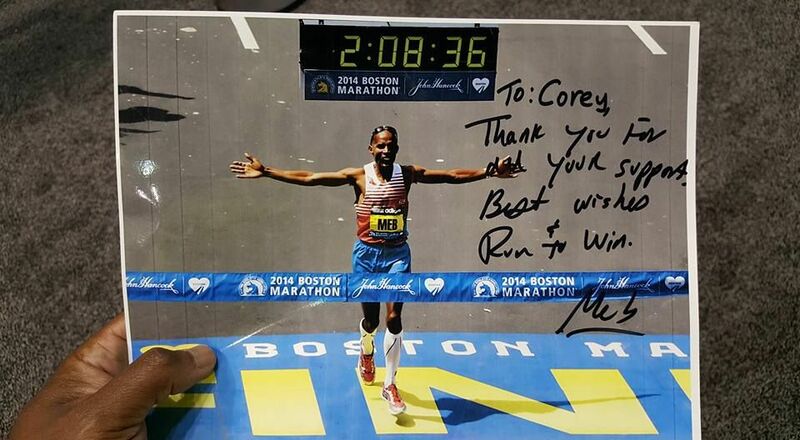 Last year it was the incomparable Meb Keflezighi. He was such an amazing person to meet, and so nice. He will be back this year, as well as Olympian Alexi Pappa, that you will also get the chance to meet and get a picture with and get autographs. So come prepared with pictures or books. 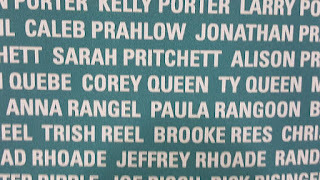 I know a lot of people used their race bib to get autographed. That's not including the beer tasting/dj booth, and lots of vendors that actually want to talk to you, not just sell you something. Seriously, this the longest I have ever spent at a Race Expo, and honestly could've stayed longer. It was AWESOME! 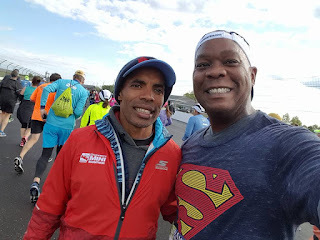 III) Allow Yourself to Enjoy the Amazingness of This Race: Meb will also be on the course, and I stopped and took more pics with him, I didn't care about my time. Once you are in the Indianapolis Speedway, it is kinda hard to not get overwhelmed in a good way. 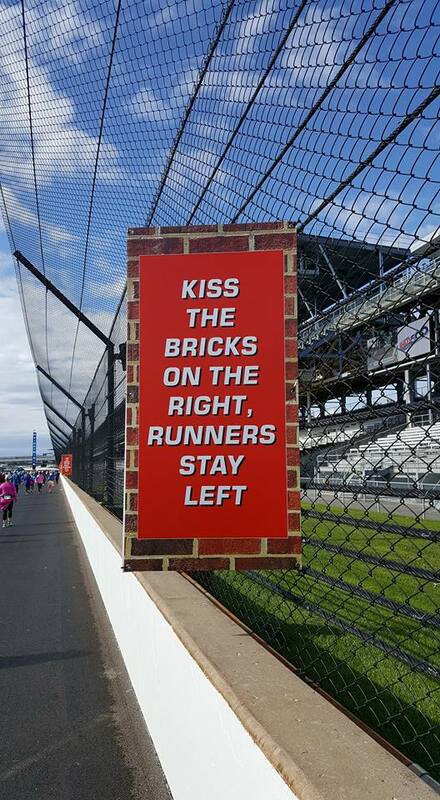 Then as you get close to the Bricks of the Start/Finish Line in the Speedway, you will hear people telling you, if you want to kiss the bricks, stay to the right, if not, stay to the left. People who go to the right, to kiss the bricks, don't worry, someone will ask you to use their phone to take a picture of them kissing the bricks and they will return the favor. 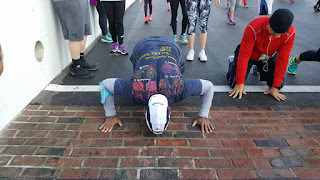 It is an amazing experience doing this just 7 days before the running of the Indianapolis 500 Race! I hope this helps those who are first time to running the Indy Mini! Plan on having an incredibly fun weekend. Last year was my first year doing it, and I went by myself and left with people that I can honestly call friends. 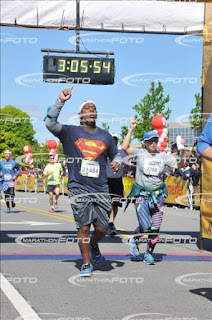 THAT'S what this race does above all. Spreads love for each other. Now, stop reading this and go to the Indy Mini website and register! Use code - BRP2018 for an extra $5 off! And hurry, there is a price increase on March 1st, so sign up now, use the discount code and get the lowest price! 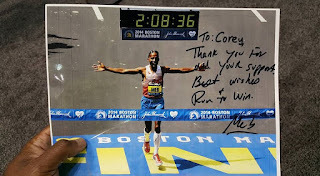 Runner's World Loves the Indy Mini Too!